Today was another beautiful winter day in north Alabama. We have bad weather coming so we really enjoyed today. A lightweight jacket was all you needed today. Looks like we may make it out of Alabama next week without having to winterize Fred. 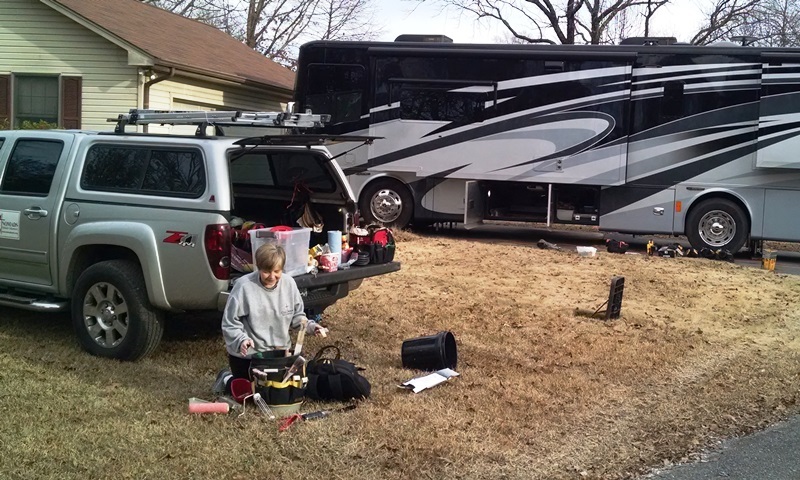 However, we will be sure to take the RV antifreeze with us. We never leave home without it during the winter, even though we hope to be far enough south to not have to worry about freezing up. This morning we went into Oneonta to take care of banking business. We have, we think, completed the business for Juno’s estate and closed that bank account. Strange feeling. This afternoon we decided to take advantage of the beautiful weather and use this day to reorganize all the tools, clean out the truck and repack Fred’s bays. After ten weeks of work in Lumberton, we really needed to take care of this task. Now maybe we can find things once again, at least for the first week of the next project. We got lots of walking in today too, over 16,500 steps today and 6.5 miles. Now if we can just continue to form good habits. After making scratch cream soups (chicken, celery and mushroom) with Debra, we decided to try making split-pea soup today. It is an Instant Pot recipe and we really like it. We have been using Alessi brand of mix and doctoring it a little. We decided that it was just too salty and used this recipe to duplicate the Alessi but less salty. 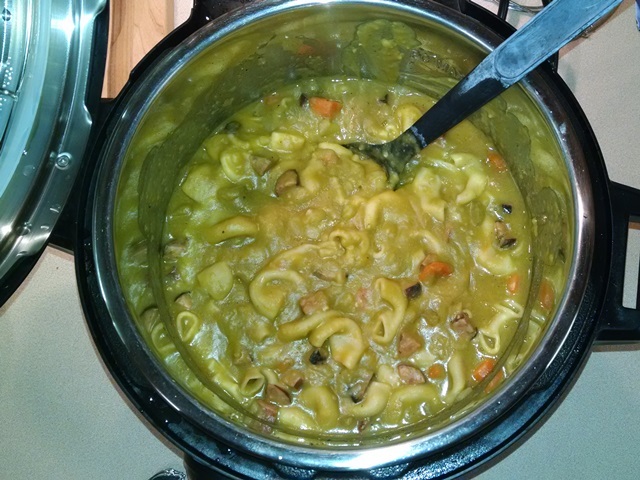 Split-pea is certainly not a pretty soup but our adjusted recipe is really good. Another keeper. It might not be pretty, but it tastes good. Hope everyone has a good week. Strange. Keep having to stop and think about what day it is. Sure seemed like Monday.